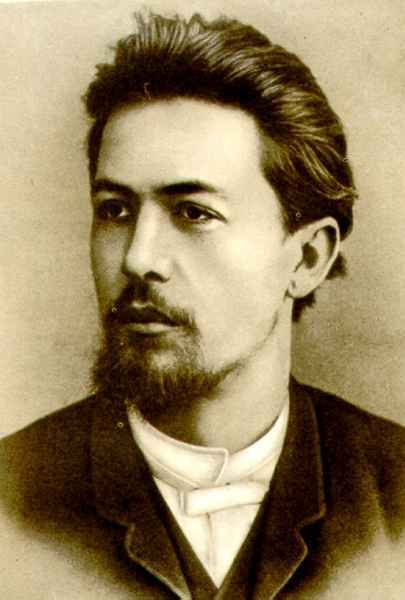 Chekhov typically wrote fairly simple stories, in terms of plot. You can usually sum up the action in a couple of sentences. So what makes them so special? Well, yesterday on the SSMT blog we talked about the genius bits of life wisdom he drops at will. That certainly helps. Today, I want to mention briefly his words. Translations, yes I know. But whatever. The blueprint is there in Russian and will shine through in whatever language, I’m sure of it. Anyway, considering “The Kiss,” we can say, OK, in order to make this work you have to really hammer home the point that this man is in love with the moment of his kiss. He really is lost in pure bliss. Otherwise the story just falls flat. But you can’t just literally say: The man was really in pure bliss. You have to draw it better than that. Well, don’t worry, Chekhov says much more than that. He describes the soldier’s love so knowingly and so lyrically in the story’s second half, it just baffles the mind. It really is incredibly beautiful stuff. The simple plot is elevated to poetry and the ending both devastates and uplifts. Wow. And that’s quite a trick on Chekhov’s part. His neck still felt as though he had been anointed with oil, and there was still the chilly sensation near his mouth as though from peppermint drops. The shoulders and arms of the young lady in lilac, the brow and the truthful eyes of the fair girl in black, waists, dresses, and brooches, floated through his imagination. He tried to fix his attention on these images, but they danced about, broke up and flickered. When these images vanished altogether from the broad dark background which every man sees when he closes his eyes, he began to hear hurried footsteps, the rustle of skirts, the sound of a kiss and — an intense groundless joy took possession of him. . . . Abandoning himself to this joy, he heard the orderly return and announce that there was no beer.